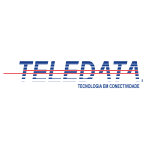 Teledata was founded in 1987 with Headquarters is Sao Paulo and significant operating entities in Curitiba, Rio de Janeiro and Brasilia. We have extensive experience in Telecommunications, Data Center and Analytics. Our knowledgeable technical staff can support data, voice and specialized IT solutions for a variety of vertical markets throughout Brazil including Finance, Healthcare, Oil & Gas and Government. Our process management expertise and extensive use of CRM tools has provided exemplary customer service to our long list of customers using Microsoft, Oracle and many other vendors. We are please to add Speakerbus to this list.